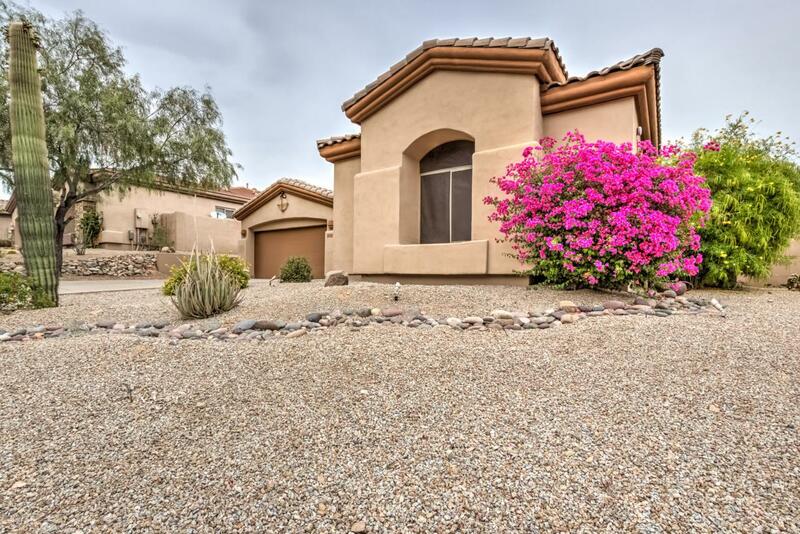 Wow, the quintessential Fountain Hills home. 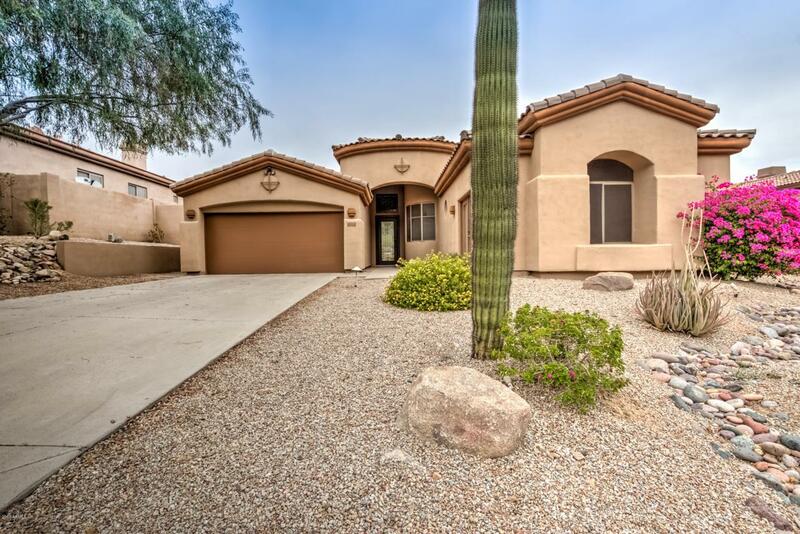 Nestled in Sunridge Canyon, enjoy low HOA fees and NO STEPS! Step inside and instantly notice walls of glass lining the living room showcasing incredible views of Four Peaks and the Mazatals. 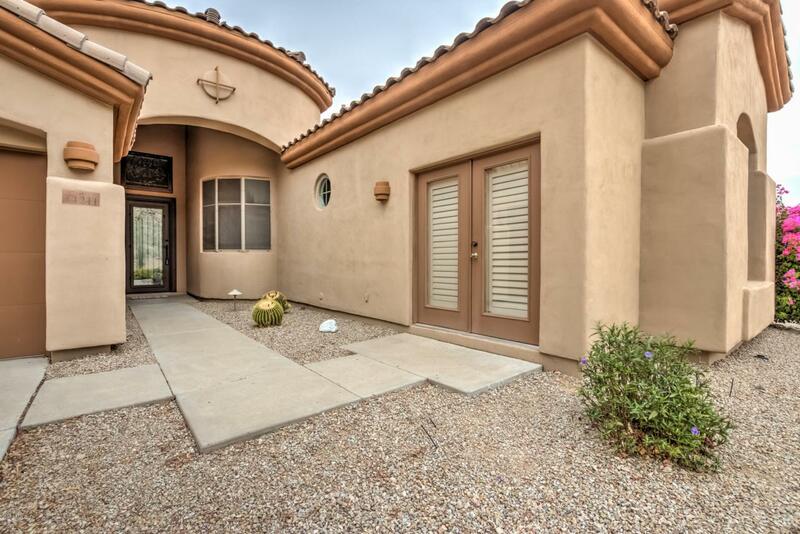 Enjoy oversized tile and soaring ceilings throughout the home. Open to the family room, the kitchen is a culinary paradise with plenty of counter space, island, dinette, & walk-in pantry. Inspire rejuvenation in the master retreat complete with private patio access, ample space, endless views, dual vanities, glass shower, separate tub, water closet, and walk-in closet. 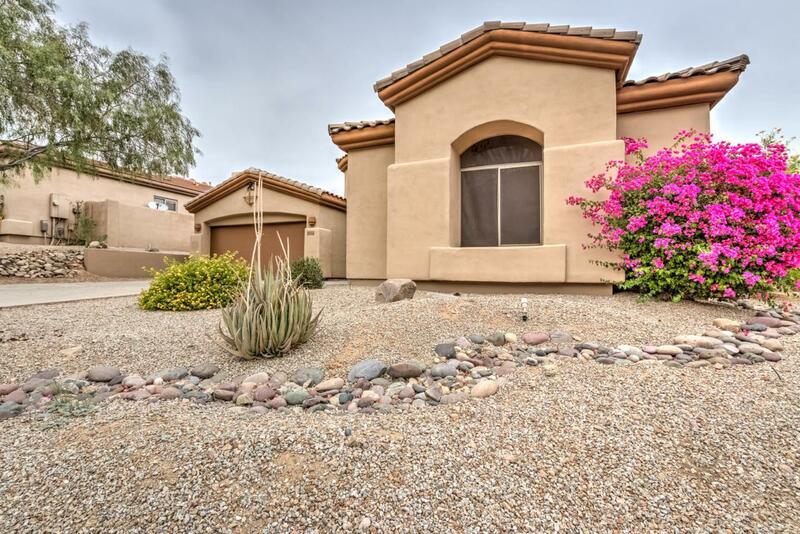 The backyard is perfect for any Sonoran season with lush foliage, large covered patio, sparkling pebble-tec pool, spillover spa, built-in BBQ, & more views!